The CVS Small Animal Division is led by Ben Jacklin MA VetMB MVetMed DipECVS MRCVS. 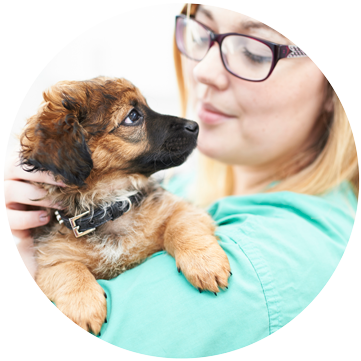 Our vision is to be the employer of choice for the UK veterinary industry, underpinned by a commitment to the provision of excellent animal and client care. The CVS Clinical Advisory Committee (CAC) and Clinical Governance Committee (CGC) ensure that clinical excellence remains at the centre of our animal care and are comprised of senior vets who work in practices. These groups meet regularly to discuss a wide range of clinical issues affecting practices and members are on hand to give advice and direction, including new medications, protocols, procedures and governance. We are committed to investing in the development of our people and facilities. Clinical development will always be the core aspect of all our training as our team is a valuable asset. 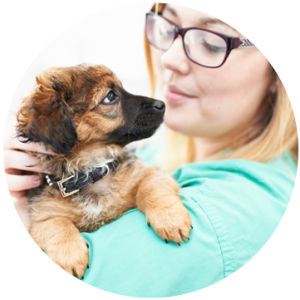 All our vets and nurses are provided with a wide range of training and development opportunities both through in-house expertise and external courses. The division is keen to attract the best of Veterinary Surgeons, Nurses and support staff as well as veterinary graduates to join our new graduate scheme. We are also happy to sponsor further qualifications for vets such as certificate programmes or AVP status. Through the comprehensive and diverse services we offer, it is now entirely possible to have a whole career within CVS from General Practitioner, Advanced Practitioner, Specialist, Technician to a wide range of non-clinical and management roles – all are possible within the Small Animal Division. We continue to develop and implement our out-of-hours service strategy to bring as much in house as we can. Our out-of-hours service supports the veterinary teams to deliver an effective, high quality emergency service that will support the practices as a whole as well as offering vets and nurses alternative ways to achieve a better work-life balance, an exciting caseload and opportunities to develop clinical skills. We currently have 15 dedicated out-of-hours sites across the Group. All of our companion animal sites offer membership of The Healthy Pet Club, where owners of dogs, cats and rabbits can enjoy a range of benefits all designed to save them money on essential annual pet healthcare. CVS has launched its own cat and dog insurance product enabling us to offer premium cover for our clients’ pets. CVS also owns its own MiPet brand of products. This includes flea and worm products, joint supplements and cat and dog foods, enabling CVS to harness its buying power and deliver great products at good value for money to our clients.